We used to think of chuck roast as nothing more than stew meat. That all changed when we first cooked the meat sous vide. Now that $7 roast can be transformed into a prime cut of beef. For this cook, we did a very basic salt and pepper rub to let the taste of the meat shine. And boy it shines. But if we want to take our chuck roast straight to Flavortown, we like to use our favorite seasoning blend, Meat Church, to kick the flavor up a notch. Through loads of experimentation, we’ve found that cooking the chuck roast at 136F for 48 hours is the perfect combo. 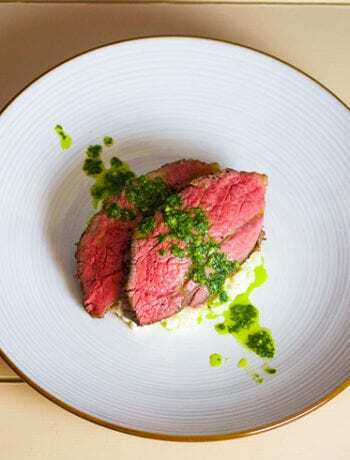 Leaving the roast in for 48 hours breaks down the connective tissue (collagen), which results in an extremely tender meat. Also, cooking the chuck roast at a temperature of 136F is the sweet spot for that perfect edge to edge rosy color. Just make sure you have a reliable sous vide that accurately regulates the temperature of the bath or your results may vary (check out the Anova or Joule). For other time and temperature options, check out our cooking guide here. 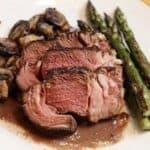 Although you only need a sous vide machine for this recipe, it helps to know you are equipped with the best kitchen tools possible. Below are equipment we feel will give this recipe an extra boost. You can also check out our full list of recommended gear here. Cast Iron Skillet – If you are looking to take your searing game to the next level, we recommend investing in a cast iron skillet. By using a cast iron in this recipe, you’ll achieve a deep sear on the chuck roast. Cast irons are also extremely handy for searing just about any and all sous vide meat. Lodge offers the best quality and price, which is why it is our favorite cast iron brand. Set sous vide machine to 57.5C/136F. Salt and pepper the chuck roast to taste. Put the roast in a freezer bag with crushed garlic, and remove the air through a vacuum sealer or the displacement method. Drop chuck roast in the bath for 48 hours. Remove bag from bath. Take chuck roast out of the bag, pat dry and season with salt and pepper to taste. Heat pan on high and add oil. Sear for 1 to 2 minutes on each side. Slice and serve chuck roast with aus jus or your favorite sauce and enjoy! Have you ever tried putting on a smoker for 2 hours to get a smoke ring then Sous Vide it? i have been thinking of trying this with my green egg. I’ve tried the smoke to sous vide method with other meats, but not a chuck roast in particular. It is awesome though. Captures the nice, smoky flavors and retains the smoke ring. I’d recommend doing smoke, sous vide then smoke again to get some bark on the outside. I will give it a go and let you know! 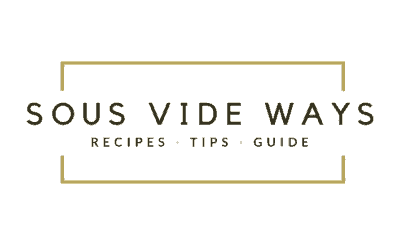 Do you need to add more water over the 48 hour sous vide cooking time for the roast? Is it safe to do while you are sleeping? Hi Karen, great question. If you are using a normal stock pot, you will most likely need to add more water throughout the 48 hour cook due to evaporation. 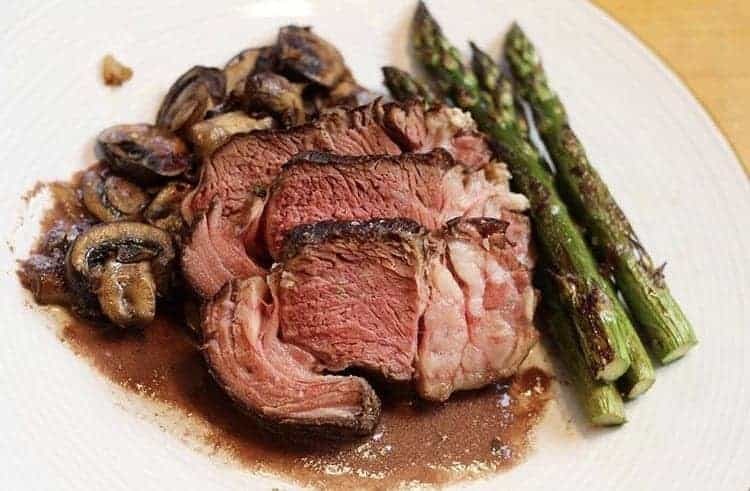 It is safe to cook overnight while you are sleeping , however if the water level is too low the sous vide machine will turn off (which could ruin your cook). I recommend purchasing a 12 quart plastic container with a compatible lid. With a lid, there is minimal evaporation so you can cook for over 72 hours without having to refill the water once. Check out my gear section for the container and lid I recommend. OK smoked the beef chuck roast for 2 hours. Sousvide for 48 then smoked again for 2 hours to get the bark back. It was amazing. Thank you for letting me know, I’m glad it turned out awesome! I actually did a sous vide to smoke over the weekend with a picanha and it turned out amazing as well. I am going to do a little more experimentation then come out with a big blog post about it.